Epic Sheds had customer service far above what I expected and they really took the time to explain their products. This company included free shipping and no sales tax when we ordered and it took a short week to arrive at my door by truck. The shed came in 2 boxes each weighing around 250 lbs each, so it is helpful if you have another person to help move them, along with the assembly. 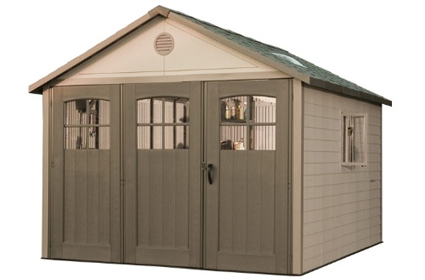 In conclusion, if you’re looking for not only an attractive outdoor shed for your backyard, but one that includes all of the accessories you will need along with durability and a long warranty, we highly recommend Lifetime sheds. .